Going on holiday can be very expensive. Visiting all of the locations and seeing all the sights that you desire can often come at a high price. However, if you set a budget for your holiday, you will be surprised as to how much you can see and do. For example, it is very possible to see the UK�s coast on a budget, and have a lot of fun doing so. If you are interested in exploring the UK�s coast on a budget, keep reading! To begin, we will take a look at a great place to visit on England�s southern coast. This place is Lulworth Cove. This cave is a completely natural formation, and has tons to do around it. There are beaches, and the small town to explore. Lulworth Cove is not a huge tourist attraction, so prices will not be as high as some of the more commercial areas in England. Visiting Lulworth Cave will be a very peaceful and relaxing trip. Far away from the hustle and bustle of the city, Lulworth Cove is a great place to go on a small family trip or a romantic getaway. 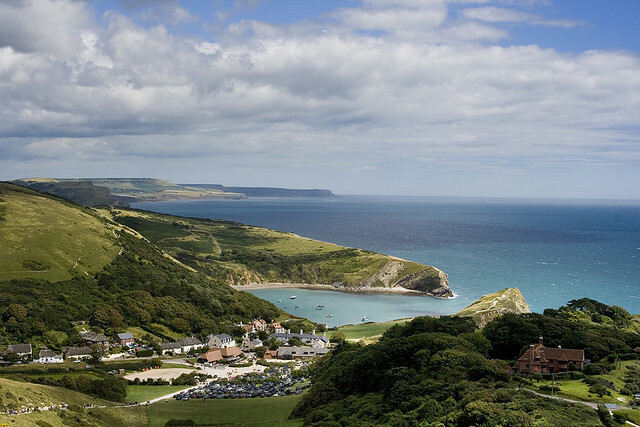 In terms of accommodation, consider staying at one of Lulworth Cove’s budget Caravan Parks. If you find yourself on the eastern coast of England, there is another great place to visit: Cromer. Cromer is a small coastal town, that has a very quaint feel to it. With a lot of the area�s tourism heading over to Greater Yarmouth, Cromer is a much calmer and quieter town. This does not mean Cromer is boring. Cromer has many tourist attractions, and a lot to see downtown. But like Lulworth Cove, the prices are much lower than a tourist town. If you are looking for an inexpensive holiday spot on the eastern coast of England, Cromer is the perfect place to visit. If you find yourself in Wales, on the western coast of the UK, there is a perfect place to visit: the town of Fishguard. Like the name suggests, this town is a small fishing town. However, the coastal views here are unlike anywhere else on the coast. The sights are beautiful, and it�s a great destination for a small getaway. This town isn�t a huge tourist town, so the costs there will be akin to those in your own town. This makes Fishguard the cheapest place to visit on this list.Whether you are on the western coast, the eastern coast or the southern coast; there is always a place to visit for relatively low cost. From Lulworth Cove, to Cromer to the quiet town of Fishguard, each of the places have their own distinct advantages to larger tourist towns. The one thing they all share in common, is their price. They are great to visit on a budget, and will ensure that going on holiday does not break the bank. So remember, you do not have to go to a populated tourist town to have a great holiday, sometimes the smaller quieter villages are better destinations.